2018 is shaping up to be another vintage rock year. 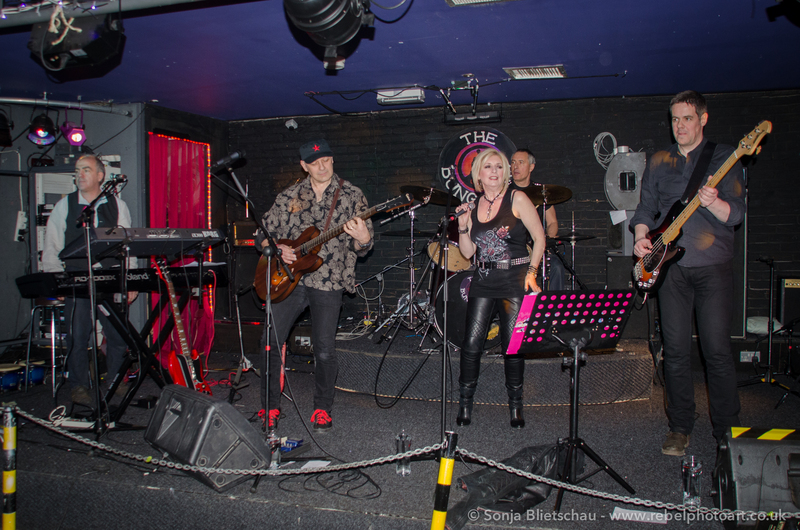 We’ve been performing regularly at our spiritual home on The Ferry in Glasgow supporting some of the best rock tribute acts around, from Spiders from Mars to Blackmore’s Blood. In May we’re playing the Voodoo Rooms in Edinburgh (3rd) and then back to the Ferry on the 17th to share the bill with Hotter Than Hell, the sensational KISS tribute. We are also headlining some charity events this summer supporting some fantastic organisations, from Place2B to Musicians Against Homelessness. Well, it finally happened. Shardlake has had the call to play the Reading Festival! Well, okay, we’re playing a Reading Festival but it’s a cracker: The Different World Festival (29th July) is a family friendly spectacular that was a huge success when it began last year. We’re delighted to be taking part. As well as Reading, we’re playing the Big Picnic Festival at the world famous Helix, near Falkirk (August 13th). Should be spectacular with the iconic Kelpies as a backdrop (and maybe a chorus of Horse with No Name to get things going). Then we’ll be back at the brilliant Kirkintilloch Canal Festival on the 19th August. 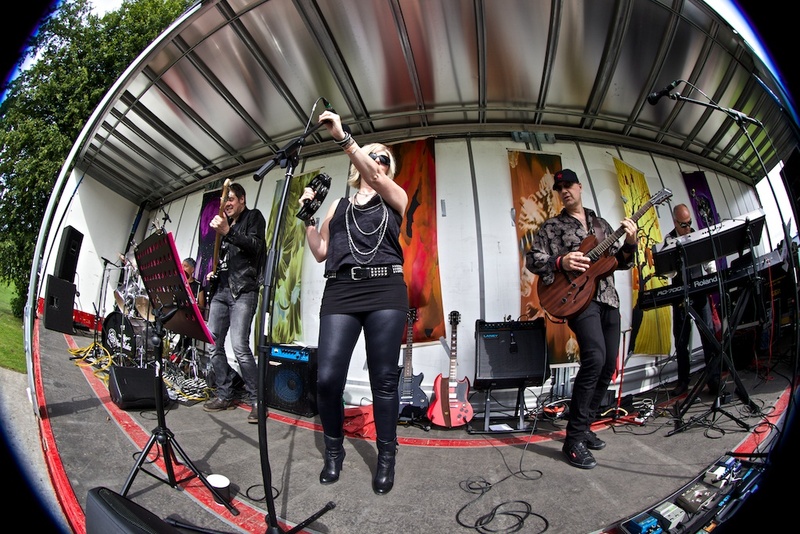 Another family-friendly event, we really loved this gig last year (see pic). Looking forward to seeing you over the summer. Get your sun block on and your earplugs in! We’re playing in a special concert for the Nordoff Robbins music therapy charity at this Stirling venue. Doors open at 4.30pm. There are five bands in the line-up. Tickets are £5 and are available through the band. We’re having a classic rock Christmas party gig with our good friends in Round the Block at this cracking Glasgow rock venue. Doors open at 7.30pm. Admission is £5 on the door with all proceeds going to the National Autistic Society. It’s a great cause and it’ll be a great night! The Beatles had The Cavern but Shardlake have The Cave. Our packed-out gig at Paisley’s superb new live rock venue (above) was a great night and we’re looking forward to a return there soon. We’re delighted to have been booked for the following events over the summer. Shardlake are thrilled to be playing at Glasgow’s famous Grand Central Hotel. We’ll be performing at the launch of Film Industry Scotland, a new charity supporting Scotland’s emerging film-making talent. Media and celebs will be there and you can be too. Tickets for this great cause are on sale now, priced £8, from the link below. Hope to see you there. We’re performing in the evening on the main stage at this excellent festival. It takes place in Kirkintilloch’s Marina on the bonny banks of the Forth and Clyde Canal. Why go all the way to Glastonbury when it’s all happening in Kirkie? Some dates for your diaries, folks. We’d love to see you at any, and indeed all, of the following performances. The Vale, Dundas Street, Glasgow (beside Queen Street Station). On-stage 8pm. The Golden Pheasant, 2 Stepps Road, Lenzie. On-stage 8pm. The Cave, 38 New Street, Paisley. On-stage 9pm. Botanic Gardens Edinburgh. Private booking. They’ve played a good few sets at Whitecraigs tennis club but nothing like the blistering two hour rock set that Shardlake delivered to a packed house at the venerable rackets club. Big Al did a cracking job on the sound engineering and it was great to get so much support from our fans. Thanks to special guest Simon who was brilliantl duetting with Pauline on Heroes, our tribute to the late, great David Bowie. A huge thanks to everyone who came along to the Vale before Christmas and helped us raise funds for the Beatson Cancer Charity. One of the best gigs – and crowds – we’ve ever had (so far!). Special mention must go to the mighty Round the Block who were in blistering form and delivered a stonking set. Also to Travis, legendary manager of the Vale, and top sound engineer Chris who make this one of the best venues in Scotland. Talk about partying like it’s 1979! 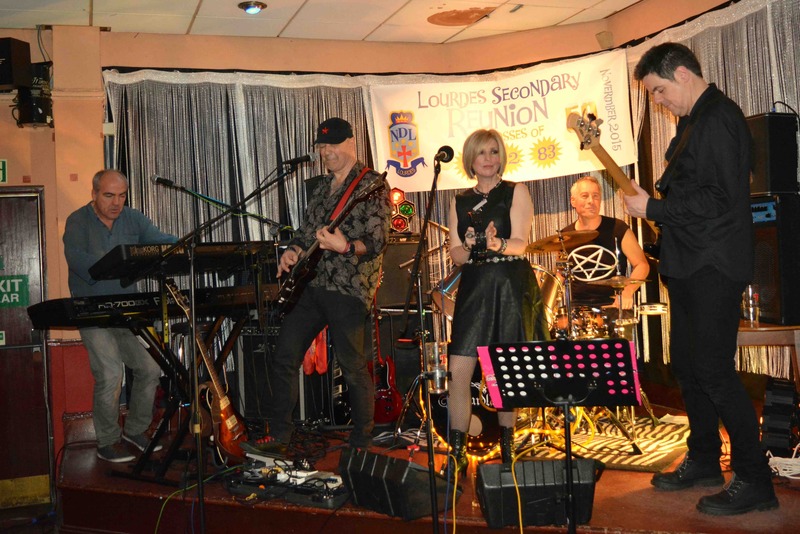 High School Musical took a hard rock twist when Shardlake played at the Lourdes Secondary Class of ’82 Reunion on November 21st at Glasgow’s Rolls Royce Club. The guys and gals may all have turned 50 this year but they were all looking great on it. A great night and a memorable guest appearance on stage by jazz guitar virtuoso Tony Quayle. 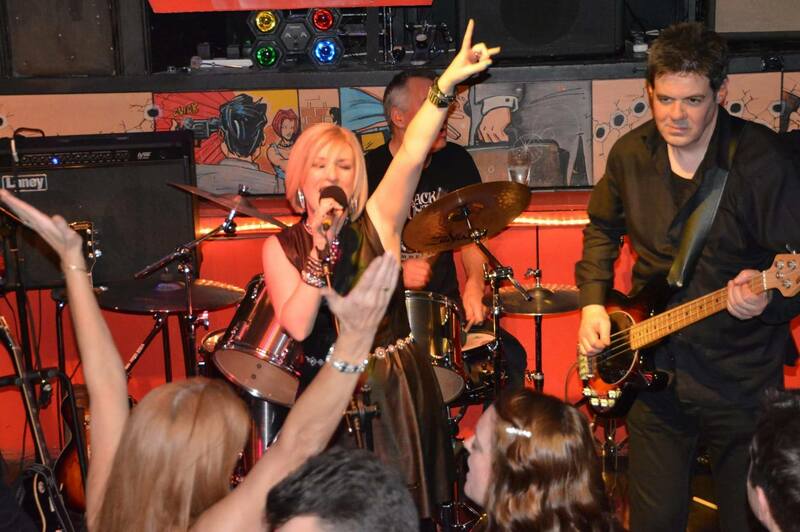 Join us for a fantastic night of non-stop classic rock hits at this legendary Glasgow venue. The double bill features Shardlake and blues rock sensations Round the Block with all proceeds going to Beatson Cancer Charity. A memorable night is guaranteed for all rock fans. The Shardlake classic rock bandwagon keeps a’ rolling into the autumn with the following gigs lined up. We’re also planning a big Glasgow pre-Christmas bash with support from some of our favourite fellow bands. Watch this space, folks and thanks for all your support this year. Behind The Wall, Melville Street, Falkirk. On-stage 10pm. The Rolls Royce Club, Ibrox, Glasgow. On-stage 8.30pm. As the summer festival season gets well under way, Shardlake are pleased to announce a series of three gigs in July. Pack your tent and your wellies and come and join us at these excellent rock venues. Rockus, Argyle Street, Glasgow. On-stage 8pm. 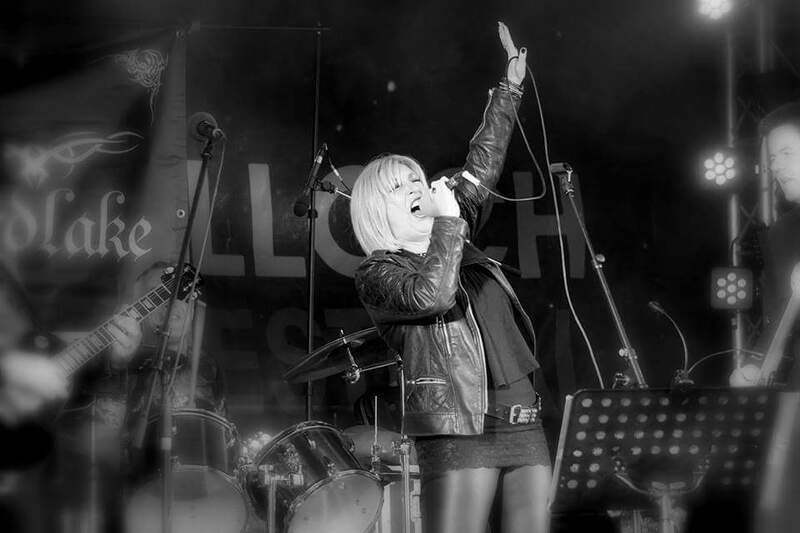 Three Churches Inn, Lochwinnoch (festival to raise money for Teen Cancer Trust). On-stage around 6pm. You have to hand it to the Bairns – they know how to party. 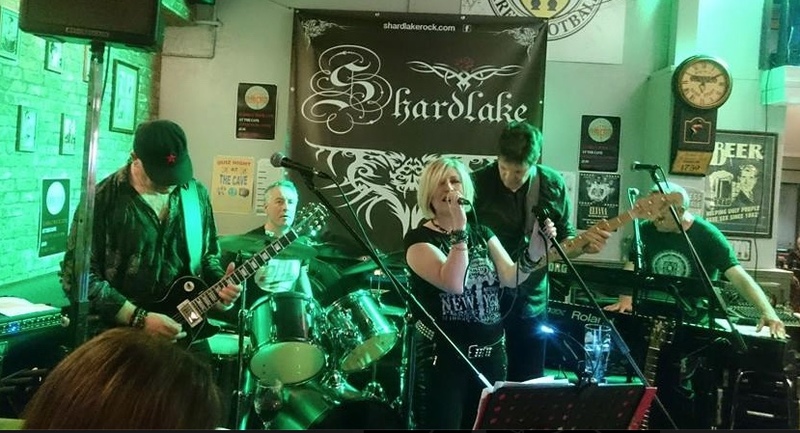 Shardlake played a packed Behind The Wall, Falkirk’s top rock club, on the night the town’s football team lost the Scottish Cup Final. Lesser supporters would have cried into their beer but not the BTW crowd. The atmosphere was electric as Shardlake played a rock set that went well into extra time (off-stage at 12.30am). New numbers went down a storm but a highlight was our impromptu and improvised rendition of the Falkirk FC theme tune “Is this the way to Amarillo”. A big thank you to the two brilliant local lads who joined us on stage and gave a performance that left Peter Kay and Tony Christie standing. We had a ball…and we’re back on Friday July 24th! 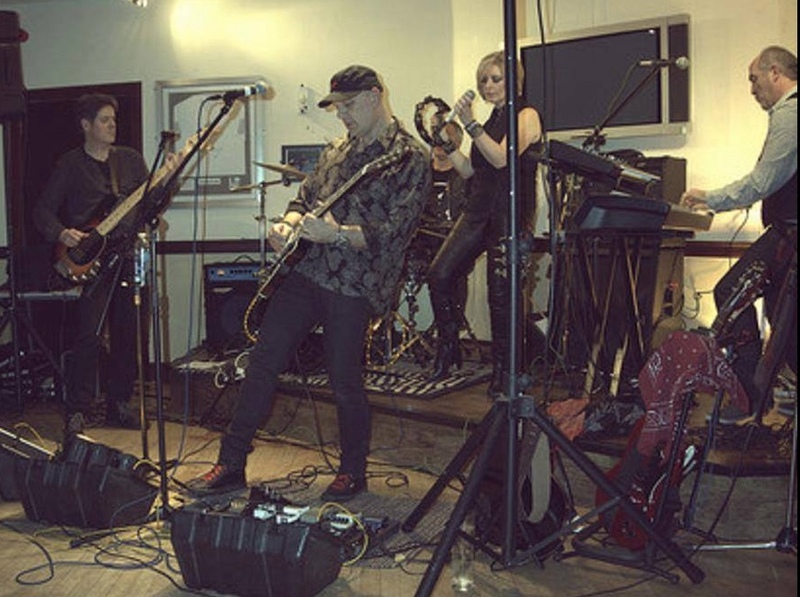 Shardlake will be launching their new classic rock set at the Vale on Saturday 16th May. All of you who joined us back in December at this classic Glasgow rock venue will remember what a great party night it was (headbangers – you know who you are!). 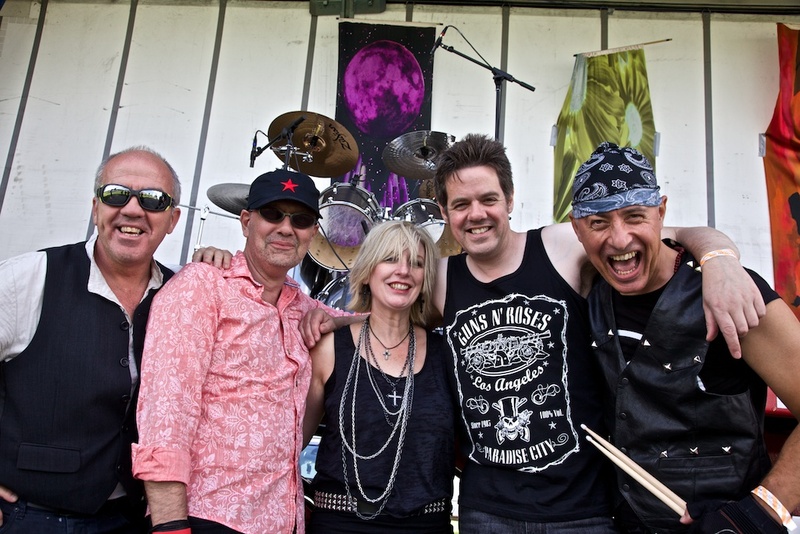 We’re delighted that we’ll be sharing the bill with fellow rockers The 117 – a class act. The 117 are on-stage at 8pm. Shardlake follows at 9pm. Come along and shake your thang (if you can still locate it!) – entry is free. The Vale, Dundas Street (right opposite the side entrance to Queen Street Station), 16th May. Bungalow Bar, Shuttle Street, Paisley. On-stage 8pm. 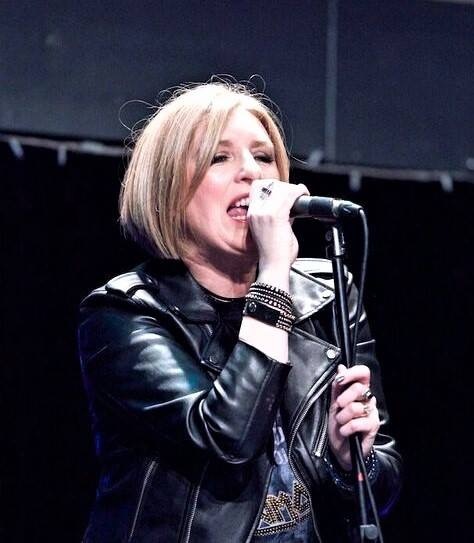 Headlining at Roar With Laughter (fundraiser for Vision Africa). Immaculate Conception, 2049 Maryhill Road, Glasgow. Doors open 7pm. Few venues can rival the pedigree of the Bungalow Bar – Paisley’s equivalent of the Cavern Club. Over the years this fantastic rock club has played host to such luminaries as The Clash, Echo & The Bunnymen and the Psychedelic Furs. Well, it was Shardlake’s turn tonight. We played an up-tempo, classic rock set as part of the fundraiser for Cleek, a new independent feature film set in Paisley. Loved the club – friendly, packed, atmospheric and possessing a big stage where you could swing your bass or guitar without the risk of braining a fellow band member. Big thanks to Alan of Brick Lane Studios for getting us the gig and to Steve, the club owner for being a top bloke and sound engineer. We will definitely be back – it feels like home. Huge thanks to all of you who came along and helped us sell out the Hard Rock Cafe. Together we raised £2,172.93 for the National Autistic Society’s Family Programme. The energy and vibe in the auditorium was amazing from the start so a big shout out to all of you who were up dancing. It was a thrill to be playing surrounded by memorabilia from some of our musical heroes. If Angus Young’s Gibson SG is no longer in its display case, it really has nothing to do with us. The Hard Rock Cafe has not yet asked if they can frame and mount Steve’s Epiphone, Andy’s waistcoat, Seth’s glow-in-the-dark drumsticks or Pauline’s leather jeans but we’re just waiting for the call. Altogether we played 27 songs which takes us into Bruce Springsteen territory. Plenty of Shardlake favourites plus others being given a run-out for the first time. A particularly energetic version of Hush went down well and has now made it into the regular starting line-up. 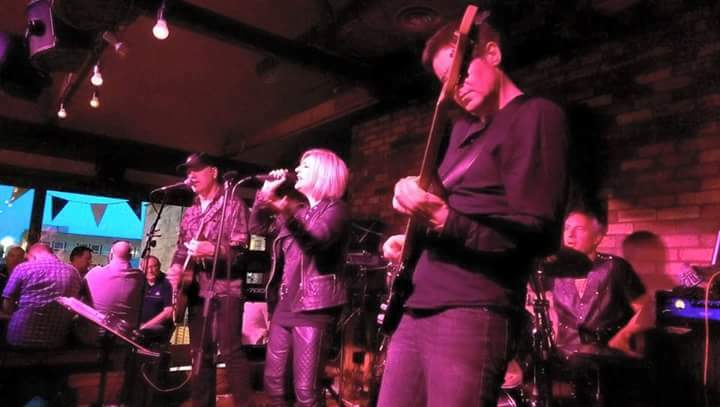 Thanks to Tanya and the team at the National Autistic Society, Allie and the team at Hard Rock Cafe and to Kevin, the sound engineer extraordinaire for their contributions to a great night. We’re still coming down from the buzz but are definitely up for a return to the Hard Rock Cafe. Watch out for Rock for Autism II. 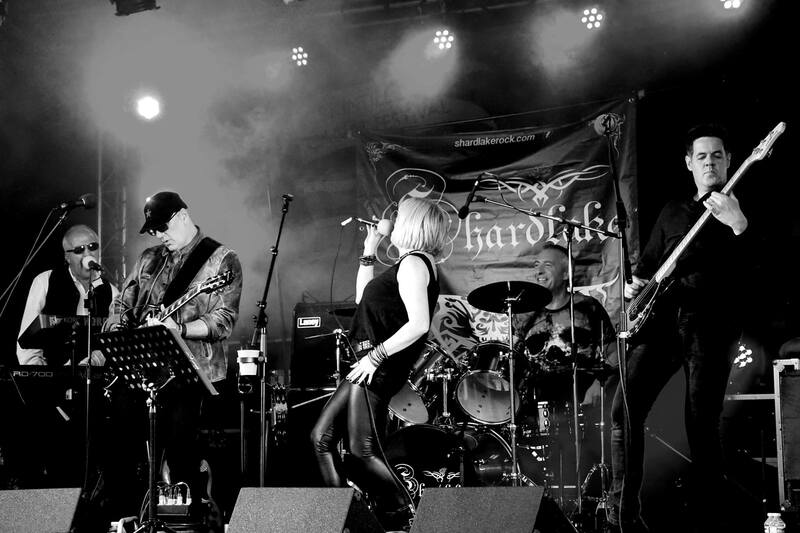 Shardlake invite you to an electrifying evening of great rock music at Glasgow’s iconic Hard Rock Cafe. 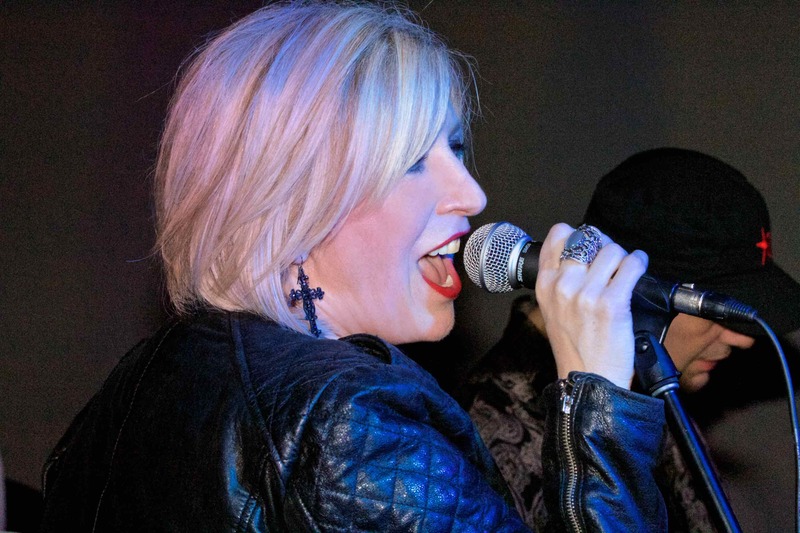 This unmissable charity fundraiser event will feature crowd-pleasing classics from the all-time great legendary bands: Guns n Roses to Rainbow, AC/DC to Led Zeppelin, The Cult to the Kings of Leon, Joan Jett to The Jam, Muse to the Pretenders and many more. 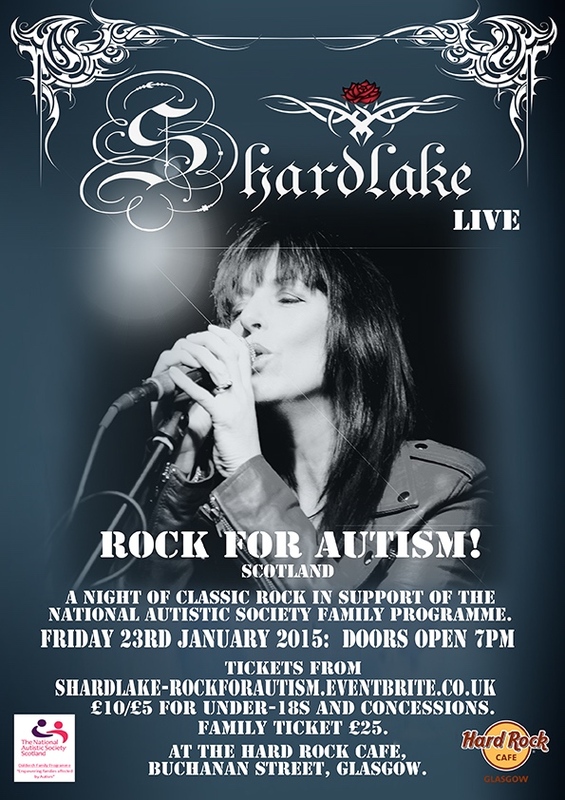 All proceeds go to the National Autistic Society Scotland’s Family Programme. This lifeline service urgently needs funding to continue giving vital help, support and advice to thousands of Scottish families who struggle to cope with the needs of their autistic children. Buying a ticket will help these wonderful people to keep delivering this essential service. 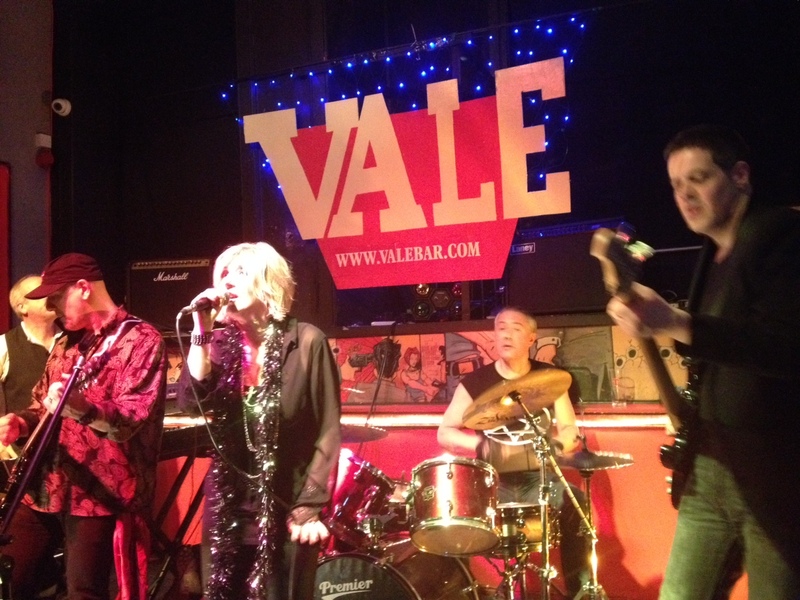 A classic rock Christmas cracker at the Vale Rock Lounge, in the heart of Glasgow. This was the band’s chance to thank everyone for their support over the last year and the joint was jumping. Before the audience arrived we filmed some performances for the videos to accompany our recent studio recording sessions at Brick Lane. 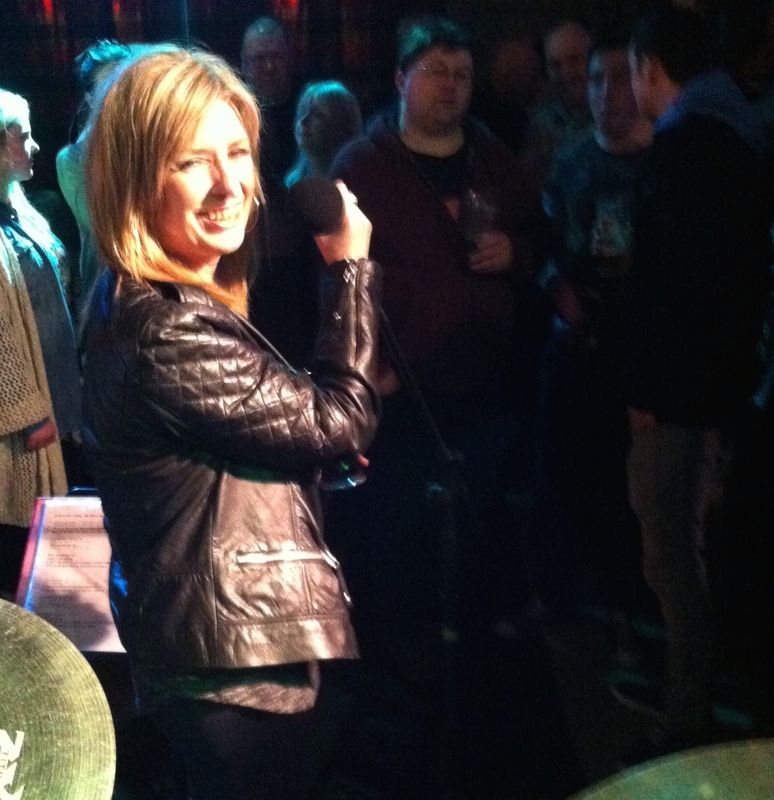 Then it was time to rock out one of the best venues in Glasgow. We gave a run out to some of the new additions to the set, including All Night Long by Rainbow (not the Lionel Ritchie song!!) and You Shook Me by AC/DC. Great atmosphere and a great crowd made this one of our best gigs yet. Big thanks to everyone who came along and special namechecks to Jenna for her videography, Chris for being a top sound engineer and venue manager Travis for sheer personality and professionalism. The (previously) tranquil setting of Ledard, in the Trossachs, was the setting for one of the summer’s newest festivals. 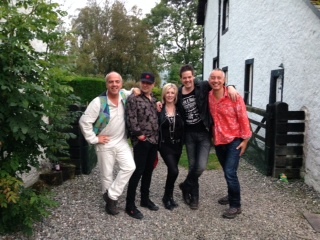 Rob Roy McGregor used to party in the historic barn where Shardlake played a scorching set, supported by the fabulous YoYo Family Band (one to watch for 2015). Another fantastic crowd and some dirty dancing in the audience that would not have been amiss in a Bangkok nightclub. The best rider we’ve ever had were the local butcher’s meat pies that would have done Desperate Dan proud. All this and an aftershow party, too! 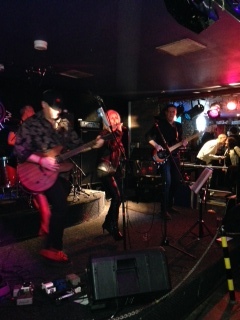 Another great night at Bliss in Kirkintilloch. A packed crowd, jammed in just inches from the monitors, who really appreciate their hard rock. Two epic sets and 1am finish (sorry neighbours!). Kirkintilloch, you are the rock and roll capital of East Dunbartonshire! Speedway in 1969 which ended in mayhem and tragedy. one of the most beautiful experiences on the planet. accountants to genuine Outlaw MCs. powerful and spine-tingling on the final encore as on the first verse. entirety by the Widow’s Sons Motorcycle Club. gig” to festival-goers who climbed inside to joined them in their oasis of dryness. One fan compared it to the Beatles’ impromptu performance on the roof of Abbey Road studios. vociferous in showing their approval. Shardlake will definitely be back. The show opened with a great set from recently signed Marina Rolink, ethereal vocals, catchy tunes and a solid performance from her band ensured everyone will remember seeing Marina, just before she is bound to become a global phenomenon. Light entertainment at the break from Ross and Macleod as Fanni and Annie had the audience chuckling away with a clever homage to the glory days of theatre at its best. Then Shardlake hit the stage and the energy level increased. Opening with a storming version of The Black Keys classic Lonely Boy they neatly segued into She Sells Sanctuary and were well into I Love Rock N Roll before the audience really knew what had hit them. 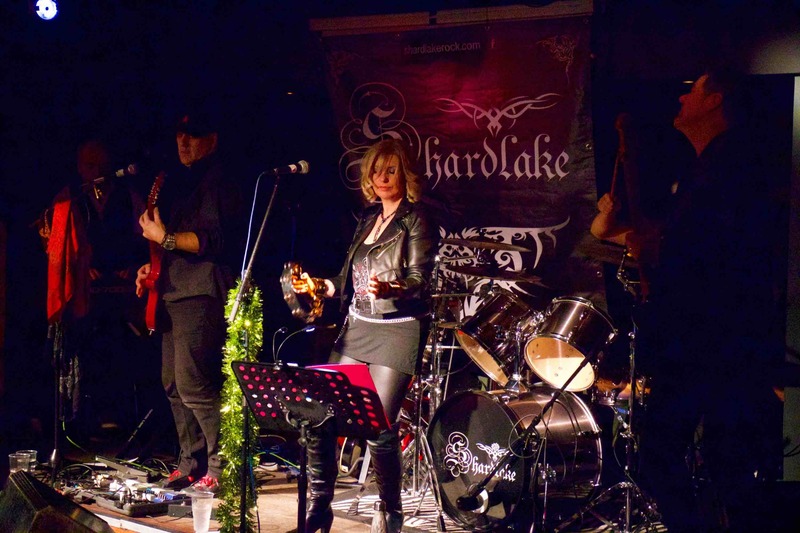 From that point on the crowd were singing along, clapping and dancing on the floor as Shardlake delivered hit after hit in a fast paced and assured performance. 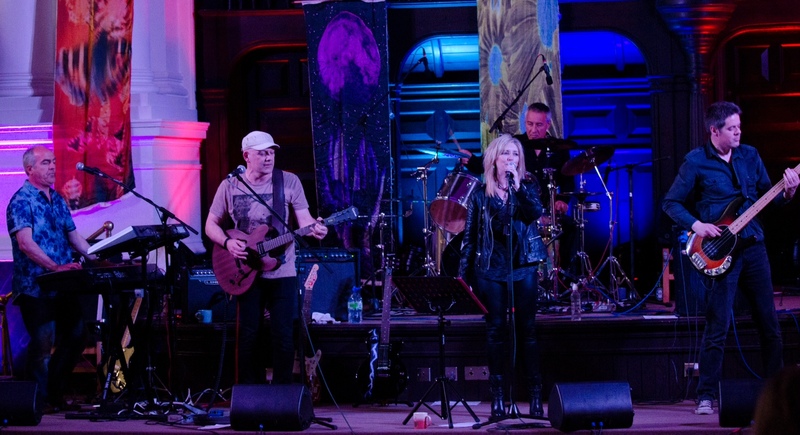 With Rock classics such as Poison and Sweet Child of Mine neatly sandwiching softer tunes such as Brass in Pocket and Reward Shardlake kept the crowd on their toes and indeed their feet throughout. Closing with Connection and Uprising Shardlake left the crowed baying for more – duly delivered with a rousing rendition of Gold on the Ceiling. just seen them at the scottish bike show.best band I’ve ever seen live, puts the original performers to shame, every song nailed note perfect. never mind the kylies and cheryls., should have closed the commonwealth games!!! Hi Ewan, You are most kind and we’re glad you liked the show. We’re hoping to have some gigs coming soon so watch this space. We’re also on facebook where a lot of news, chatter and pics etc can be found. Hi Ewan, Thanks for your kind words, we’re glad you liked the show. We can also be found on facebook where a lot of pics and news etc is also shared. 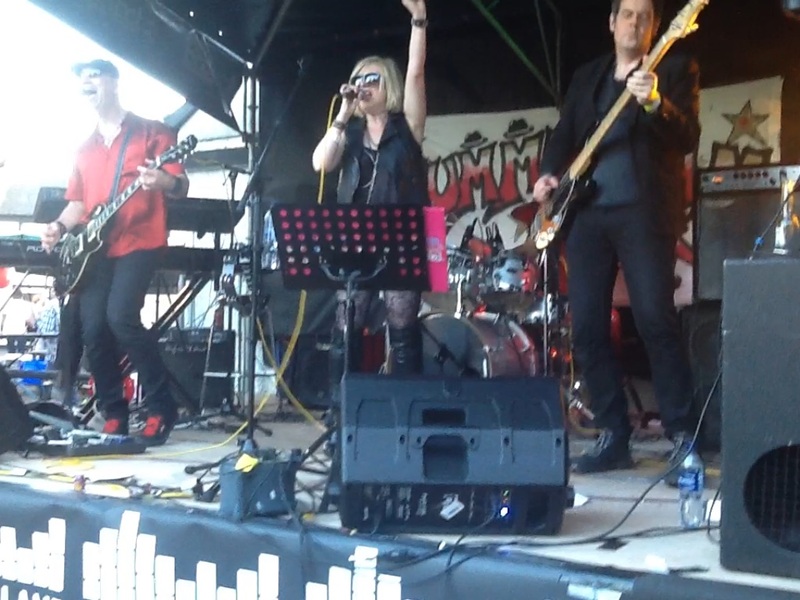 We are hoping to have some new gigs lined up soon in and around Glasgow.